When making their case against Japanese leaders, prosecutors were working against time. As the trial progressed, so too did the Cold War, turning old foes into new allies and old allies into new foes. When the International Military Tribunal for the Far East opened in Tokyo on 3 May 1946, the Allied prosecuting powers charged all twenty-eight Japanese defendants with conspiring to commit ‘crimes against peace’. Their aim was to settle accounts for the Asia-Pacific War; and they had various not entirely estimable reasons for doing so. By focusing on Japan’s aggression, the Americans hoped to explain away the military debacle at Pearl Harbour, the Soviets wished to excuse their treaty-breaking invasion of Manchuria, and the colonial powers wanted to justify their post-war reclamation of the Asian colonies. Consequently, thirty-six of the fifty-five counts in the indictment held the accused collectively responsible for conspiring to wage aggressive wars and individually responsible for the initiation and waging of them. Another difficulty for the prosecution at Tokyo related not to the war just finished, but to the Cold War just beginning. 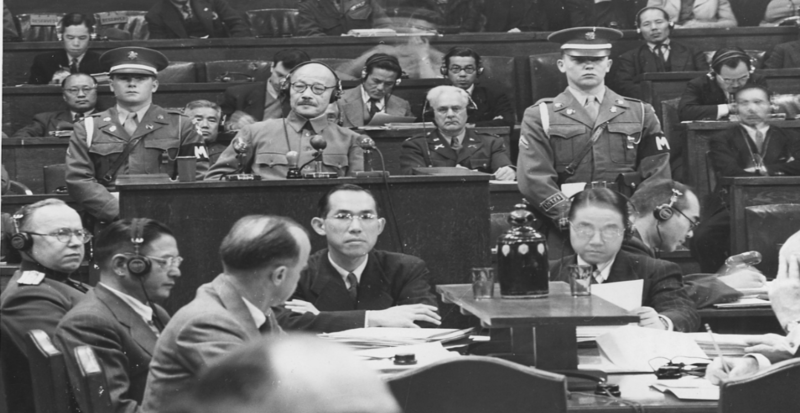 The Allies had framed the ‘crimes against peace’ charges to strip out the top echelons of the Japanese leadership and to deter potential challenges to the post-war world order. The charge was therefore innovation in the service of orthodoxy: the innovation being the criminalisation of aggression and the orthodoxy being the new American-led status quo. The problem was that the wartime alliance that gave rise to this idea soon fell apart, and as the Tokyo trial progressed from 1946 to 1948, new Cold War alignments formed, with old foes becoming new allies and old allies, new foes. The Allied prosecution teams — which included both Americans and Russians — tried to prevent these shifts from undermining their case against the old enemies, the Japanese, but were unable to completely ignore this new reality. The defence lawyers, needless to say, did their best to capitalise on the prosecution’s difficulties. Although they had been given the daunting task of defending Japanese ministers and generals who had orchestrated, or failed to prevent, assaults across Asia and the Pacific, they were nevertheless able to marshal adequate, if not always wholly persuasive, arguments against ‘crimes against peace’ charges, and even occasionally turn the tables on the prosecuting powers. First, they challenged the validity of the ‘crimes against peace’ charge itself, claiming (on strong grounds) that the charges were retroactive and selectively imposed. Second, they tried to justify Japan’s policies as self-defence, arguing that it had been compelled to act against Chinese boycotts and hostile Western powers. And finally, they played on current Cold War tensions by claiming that Japan had been pursuing an early ‘containment’ doctrine in China while trying to avoid a war with the real aggressor in the region — the Soviet Union. President Truman we feel has said exactly what these [Japanese] people have been saying all along, and we want to introduce President Truman’s address as justification … for what they themselves foresaw beginning in 1937 when the China Incident broke out. Although this sort of argument failed to persuade the majority of the judges, the defence had some success with its criticisms of the legal validity of the concept of ‘crimes against peace’. Several dissenting judges took issue with the charge, and after the sentences were handed down in November 1948, other jurists — including those advising the prosecuting powers — tacitly followed suit. Just months after the sentences were carried out, the Allied-run Far Eastern Commission announced that no more trials would be convened to try the Japanese, and with this decision the door shut firmly on the ‘crimes against peace’ charge. It is only now, some seven decades later, has this thorny issue has been raised again, with the decision to activate the ‘crime of aggression’ charge at the International Criminal Court. The circumstances may have changed, but if past experience is anything to go by, the portents are not good. Dr Kirsten Sellars is Visiting Fellow at the Coral Bell School of Asia Pacific Affairs, Australian National University. She is author of ‘Crimes against Peace’ and International Law’ (2015) and the edited volume, ‘Trials for International Crimes in Asia’ (2015). Her research focuses on international criminal law, the law governing uses of force and the law of the sea, with particular emphasis on Asian perspectives. 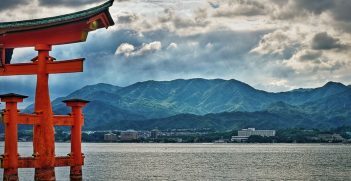 Kirsten will be presenting a seminar with other experts on ‘The Tokyo Tribunal: 70th Anniversary of the Judgment on Japan’s War Leaders‘ to be held at China in the World Building, ANU, on 24 September 2018. CAREC may have a little known history as a prototype for the Belt and Road Initiative. 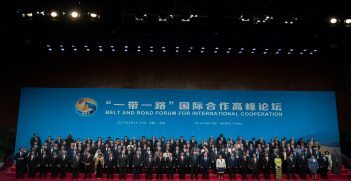 Tokyo's decision to join the Belt and Road Initiative enables Japan to seek greater business opportunities. However, to reap the greatest benefits, there are a number of important moves Japan needs to make. 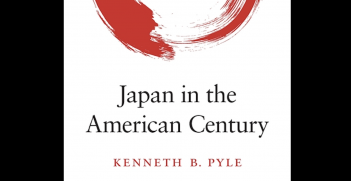 Kenneth B Pyle’s Japan in the American Century taps the author’s extensive knowledge of Japanese history to deliver an in-depth and important account of Japan as it rises, falls and rises again.